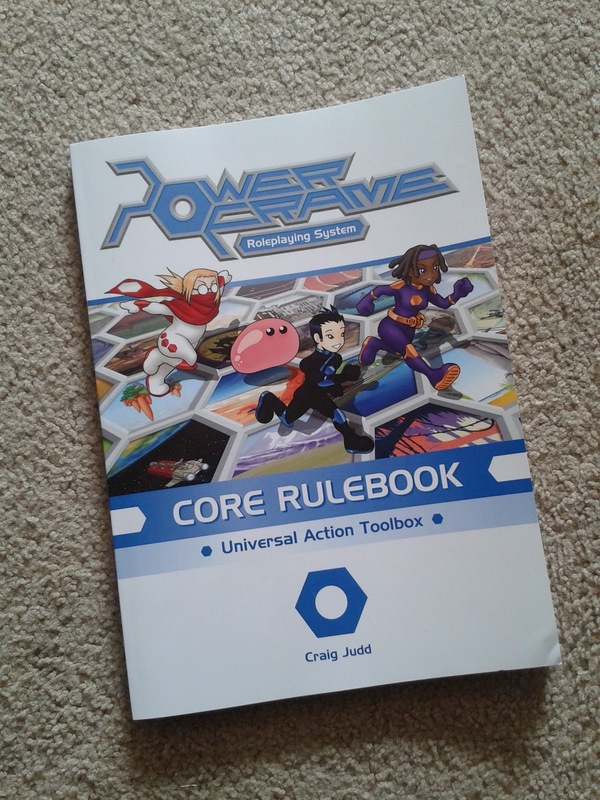 The PowerFrame Core Rulebook has been out in PDF for a few months now, and while I always intended it to be primarily a digital book, I got enough enquiries that I thought it was worth creating a print-on-demand copy as well. 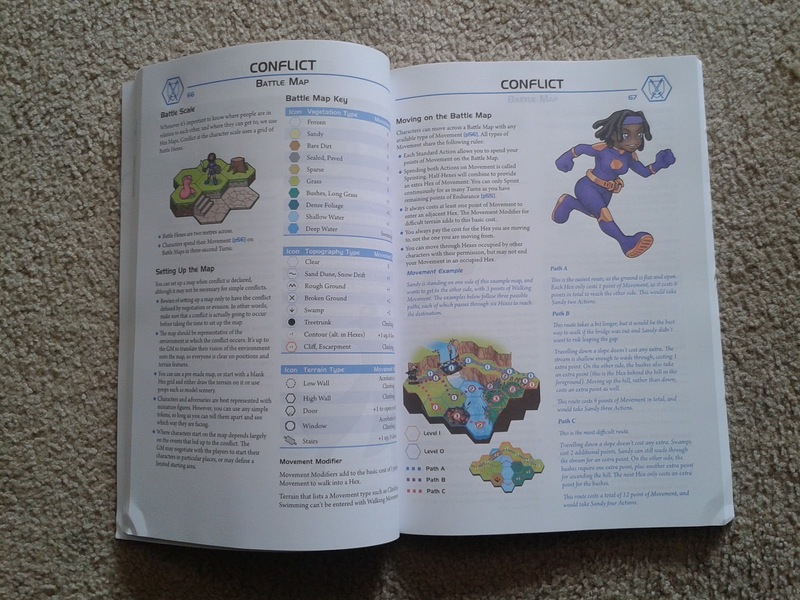 I got the proof copy a couple of weeks ago, and activated the print option on DriveThruRPG as soon as I was able. The physical book includes the PDF at no extra cost, so I encourage you to choose that option over the book-only one. If you have already bought the PDF and now want the book as well, you are eligible for a $10 discount off the book – please contact me at powerframe(DOT)rpg(AT)gmail(DOT)com so I can send you a coupon. Likewise, if you bought the book by itself, you can contact me for a free copy of the PDF. 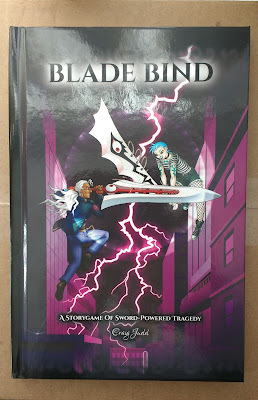 It's softcover and uses Standard colour rather than Premium, because those are the only options available for A4 books on DriveThruRPG at the moment. Although I made a few layout changes for the print copy, it would have taken too much work to reformat it to US Letter. I'll put up hardcover and/or Premium colour options if they ever become available. Of course, print has certain limitations. The Mysticism supplement I'm working on has led to a few revisions in that chapter, and while I'll update the PDF and POD files, any books purchased before the update will require errata. I'll be releasing free errata files through the new PowerFrame website as new versions come out.